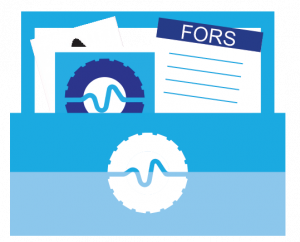 FORS has produced a toolkit to help operators meet Gold requirement ‘G8 Staff travel’ of the FORS Standard version 5. The requirement, which is in place to encourage the promotion of sustainable staff travel behaviour, aims to minimise the negative impact of staff travel to and from the workplace. The FORS Workplace Travel Plan Toolkit comprises a template with step-by-step guidance to take you through each item that must be included within your travel plan. The toolkit includes examples of objectives and targets for what should be achieved through your workplace travel plan, as well as suggested management plan and monitoring strategy to ensure that the workplace travel plan remains sustainable over the longer term. Although the toolkit has been specifically designed to assist members looking to meet Gold requirement G8, it will benefit any operator looking to create a workplace travel plan. Access the FORS Workplace Travel Plan Toolkit here.